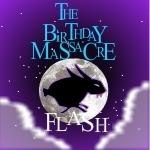 Oficial group for the band "The Birthday Massacre"
Please join and share all your TBM fan art and photos. Currently, the band is working on their fourth full-length album, looking ahead to the North American release of their Show and Tell live DVD (it's out in Europe now! ), and preparing for shows in 2010.
once more, & once again. The Birthday Massacre DA Community! Member can now submit up to 5 unmoderated "featured" submissions a week. Please do not abuse or spam the community and submissions feature, as all artworks get sent to the inbox of every member. 5 is a pretty reasonable and well rounded number, so I hope people are at least somewhat content with that. You can submit any artwork, poetry, and photography related to the band. Please don't submit things that have absolutely nothing to do with TBM. Affiliated and new members are always welcomed. Just click join or affiliate, and I'll get back to you as soon as I can. If you have any questions feel free to private message the group. PLEASE SUBMIT YOUR DEVIATIONS INTO THE APPROPRIATE FOLDERS, DON'T SUBMIT ALL YOUR WORK INTO THE FEATURED FOLDER IT WILL BE DECLINED. YOU CAN SUBMIT ALL YOUR WORKS BUT THEY NEED TO BE IN THE PROPER FOLDERS. THANKS. Love the music and their dark black/purple album arts. Great band! I love you guys. Though does anyone know why in the official forums for TBM you need to be activated by a admin before you can do anything?